Schoolboy Q releases his brand new single "Collard Greens", featuring Kendrick Lamar. The track is produced by THC and co-produced by Gwen Bunn. It will live on Q's debut album "Oxymoron". Available for purchase on iTunes now! The cut was released on Monday, June 10th, 2013. 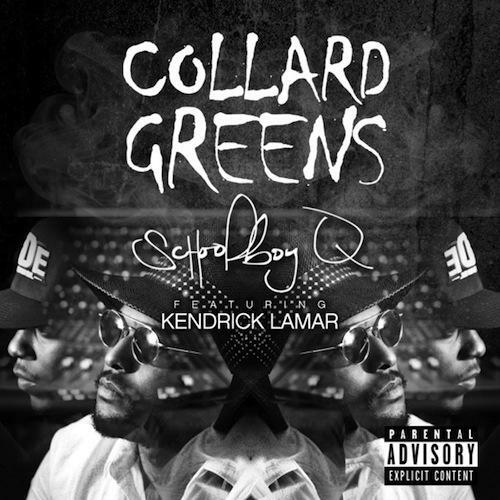 ScHoolboy Q continues to impress with each new leak, and Collard Greens is no exception. It's strengthens ScHoolboy Q's already impressive body of work, which has seen positive change over the years. We're most definitely anticipating ScHoolboy Q's next offering. Check out ScHoolboy Q on Banger (MOSHPIT). If you're down, make sure to visit ScHoolboy Q's profile page for the newest info, news, songs, and mixtapes. Make sure to hit ScHoolboy Q with a follow and/or like on Facebook and Twitter. Who else would you like to have seen on the track? How does this compare to ScHoolboy Q's previous work? Faded, Vegas, might sponsor the killer"